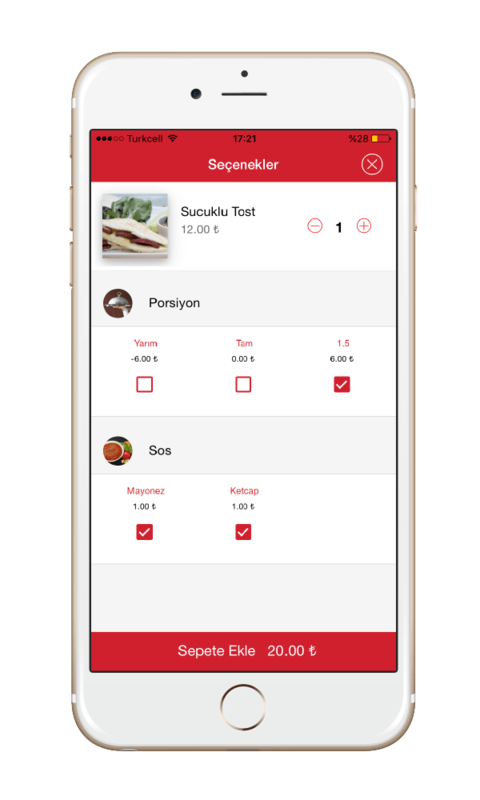 Menulux Pocket is a mobile ordering app that enables you to take orders from your iPhone, iPad and Android phones. Download now from the App Store and Google Play store. Menulux pocket allows you to show all of your menus with their options on customers own phones. Customers can send mobile orders by selecting the products they desire. Menulux Pocket is suitable for restaurants, cafes, pastry shops, coffee shops and every business up to the hotel. Easily enhance your mobile ordering experience with Menulux Pocket. Get orders from your customers own iPhone and Android phones, increase your sales with mobile coupons! 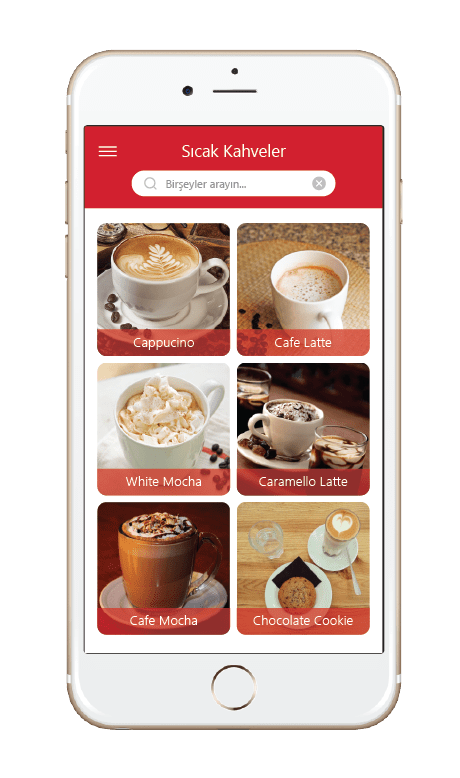 Menulux offers a mobile ordering system that enables you to show your menus which are presented with their visuals on your customers’ smartphones and get orders from them. Create your products with high-quality photos along with prices and descriptions, and share them on customers’ iPhone, iPad and all Android-based phones and tablets. Place your QR Code that we have specially prepared for you on the table so that your customers can install Menulux Pocket application and view your menus. Menulux has the world's strongest QR code reader, and the QR code on the table gives you access to the menu immediately. There is no need for the waiter to go to the table to show the menu or take the order. You can let customers send order from the table with Menulux Pocket mobile ordering application. You can use Menulux Pocket app by downloading from iOS App Store and Google Play stores on all iPhone, iPad, Android phones and tablets. You do not need to buy any specific device to use the Menulux Pocket application! With Menulux Mobile you can start receiving orders through your customers’ own smartphones. Menulux Pocket has been developed to present your menu to your customers with all their visuals, detailed explanations and product options! Now you do not have to pay the paper menu costs, just focus on providing quality service with fewer staff. We offer your customers a pleasant menu and mobile ordering experience that lets them view your menus in the form of a photo album. Customers can easily navigate through the menu with their fingertips to quickly find the product they are looking for, and they can filter products by entering a few characters in the search bar. To access the price, description and detailed information of a product, you can switch to the product screen by touching the product with your fingertip. Start to prepare your order by adding products to a cart. Customers can add a product to their favorites and inform their friends by sharing on Facebook, Twitter and Instagram etc. Customers can detail their order by selecting quantity, servings, side orders, cooking status, oil condition, sauce, garniture and other options. Customers can customize their order by choosing available multi-select options such as sauces and fixings, as well as the single-selection options such as portions or number of pieces specific to selected product. Order price is updated if additional priced options such as larger portions or side order and fixings are requested and added to the order. Once you have made all your selections, complete your order and add it to your cart. Edit your order cart, send it! Once you have added one or more products to your order, you can go to your cart to check them. Before submitting your order, you can add new products to your cart, increase or decrease the quantity of products in your cart. Touch the send button to confirm your order after reviewing it. Enter your table number on the matching table selection screen so that your order is sent to the menulux pos system for printing from the kitchen. Benefit from the Menulux beacon "presence and location detection" systems to confirm that your customer is at the table during order submission. Check that the orders you sent have been received and approved by the restaurant from my orders screen. Your products will be served after your order is received by the restaurant. After your order is confirmed, you can use your menulux mobile payment system to process your payment with your credit card information. Make a one-touch payment by recording your credit card once. Use mobile campaigns to earn mobile coupons for orders you place on a specific order amount and use them as a discount for your next orders. 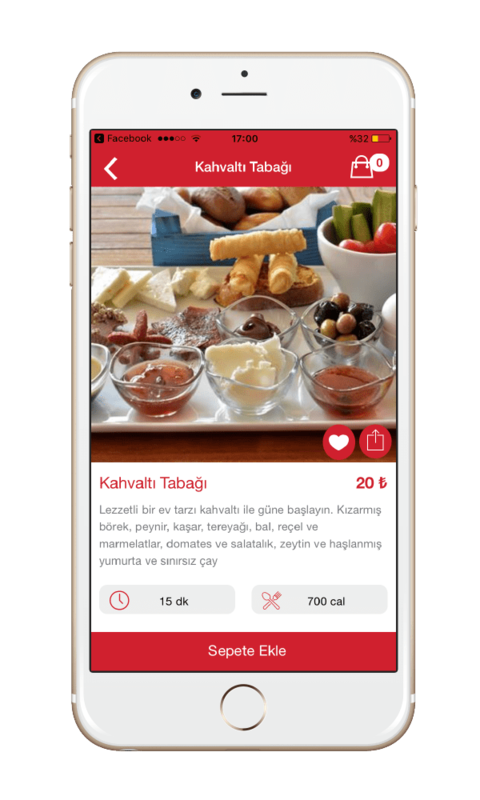 You can send feedback on the food and service quality, taste, environment, hygiene etc. about the place. 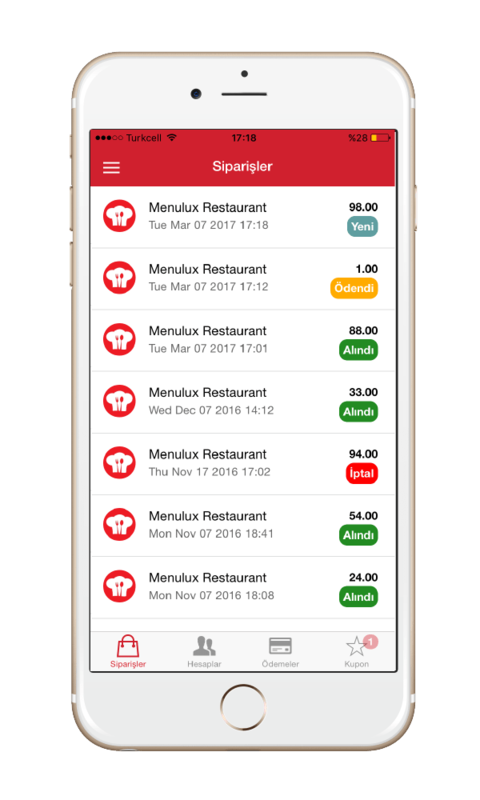 Start trying Menulux Pocket mobile ordering system app from the iPhone App Store and Google Play.